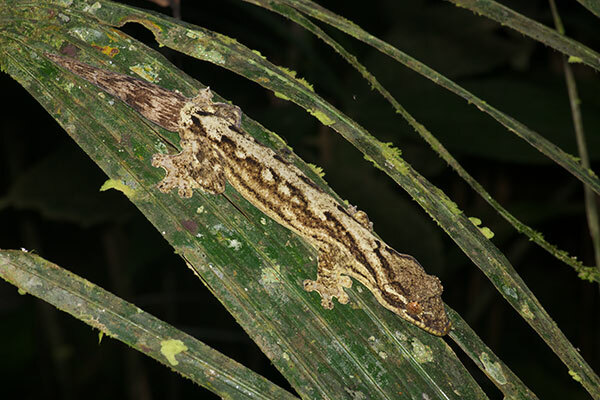 These geckos are very simple to identify because they are the only nocturnal arboreal lizards in the region. Also, they're quite large and distinctive-looking. 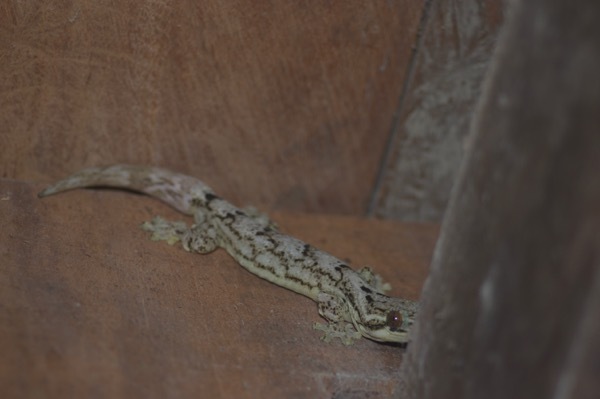 This handsome fellow was an occupant of the Madre Selva bathroom building, though it was detained for a day or so for some some staged photos. A year later, a large Thecadactylus solimoensis once again prowls the camp bathrooms at night. 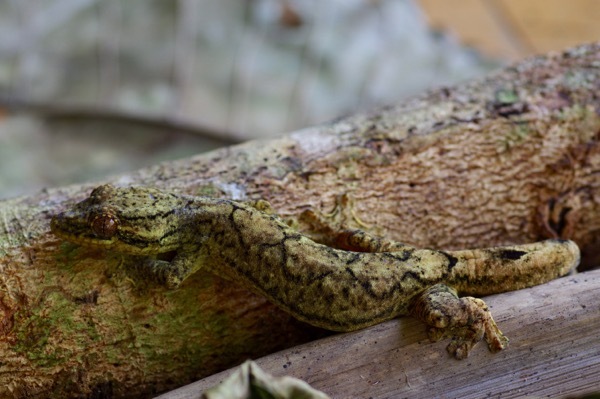 Maybe the child of last year's gecko? Definitely not the same one. 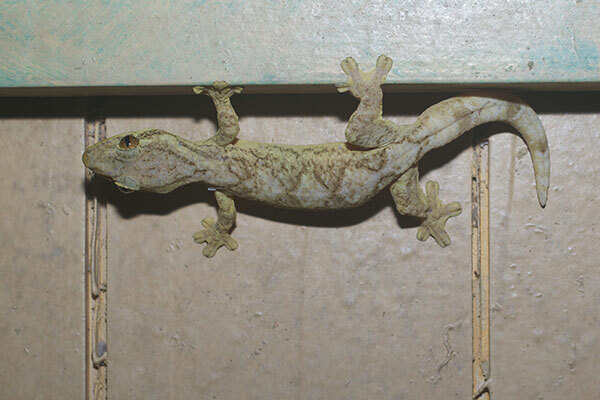 I also had one of these geckos patrolling the tambo (screened room) that I stayed in. 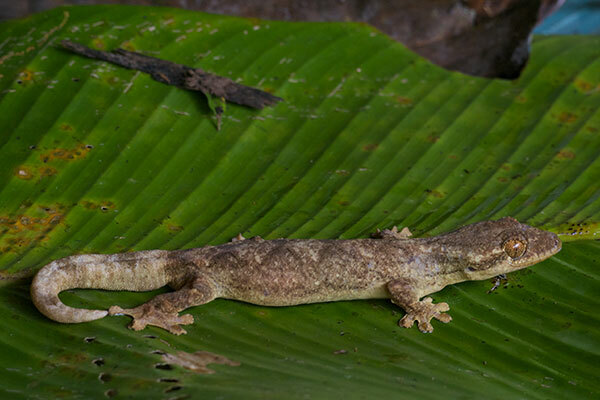 Later that evening, I saw my first-ever Thecadactylus solimoensis actually out in the forest. They don't just live on buildings after all! 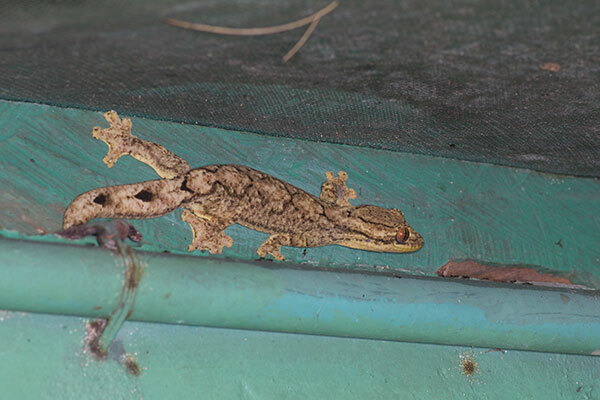 We had a resident bathroom gecko again this year, but the one pictured here was on the outside of the building just uphill from the bathroom. However, I'm wondering whether it is the very same individual that I saw two years earlier in the bathroom (see photo above from Jan 12, 2014). The pattern is extremely similar; I don't see any clear differences. The color is warmer in this photo, but that could easily be the very different lighting conditions. The photo from 2014 was taken with flash at night. This photo was taken with natural light in daytime. Another reserve, another building, another Thecadactylus.